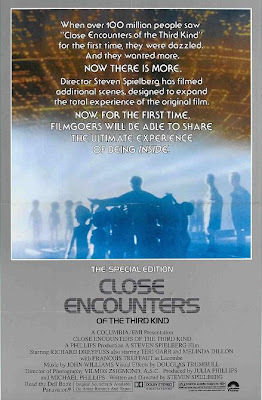 Just as Steven Spielberg made me think I was seeing living dinosaurs for the first time in Jurassic Park, his Close Encounters of the Third Kind made me feel I'd seen UFOs. 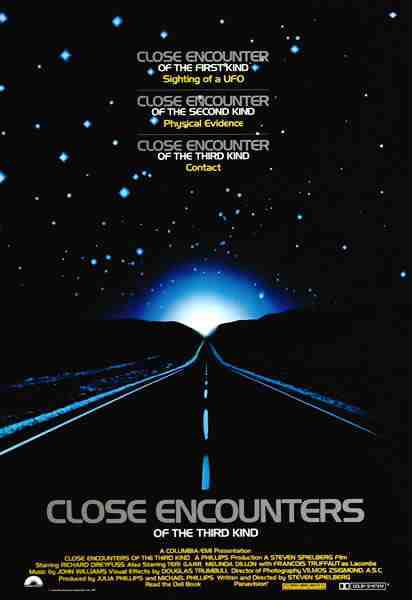 Close Encounters also succeeded in matching, if not eclipsing the phenomenal success of the recently released Star Wars. Spielberg's follow-up to his blockbuster Jaws had raced against Star Wars to be the first movie spectacular into cinemas to showcase the new generation of special effects technology. Before the dawn of the era of Industrial Light and Magic, futuristic sci-fi meant that the only screen thrills you were going to get was the usual seventies action – stunts with cars and bikes and a utopia that looked like a shopping mall. Hence Death Race 2000, The Omega Man, Rollerball, Soylent Green, Logan’s Run... and a story usually set on Earth. Dark Star and Silent Running were offbeat exceptions that escaped mainstream attention, but they pointed to where movie special effects were headed (unfortunately not where sci-fi scripts were aiming). As Star Wars took us into hyperspace, Close Encounters (or CE3K as it called itself) brought a similar wish-fulfilment fantasy to Earth. It was like 2001 - A Space Odyssey in reverse. We don't travel into space to meet the aliens, they come to us. Unlike the typical attacking Martian movies of the 1950s, these aliens aren't necessarily hostile space invaders. Though the initial sightings in the story generate sufficient suspense as to what they actually want and whether or not they're friendly. On top of all this, there's a government conspiracy to cover it all up. The story attempts to include all the key elements of actual UFO reports, exploiting the interest in the many 'flying saucer' books and early alien abduction stories, also incorporating some of the Bermuda Triangle mysteries (perhaps the missing ships and planes were taken by aliens!) also to be found on the 'paranormal' shelves in bookstores. This middle section now feels a little slow, maybe because I now know the outcome, but at the time it was full of anticipation. But the eventual story pay-offs were staggering, showing us more and more alien spaceships. Instead of blurry little home movies and photos that could be practically anything, we were treated to huge colourful dynamic UFOs on the big screen. The climax is a superbly orchestrated series of set pieces. Star Wars was hugely entertaining, but Close Encounters was also an emotional experience, almost religious. I left the cinema wanting to believe, looking at the sky! So now, I'm curious to know what a new audience makes of the very unscientific climax, as communication with aliens is attempted... with colours and music! 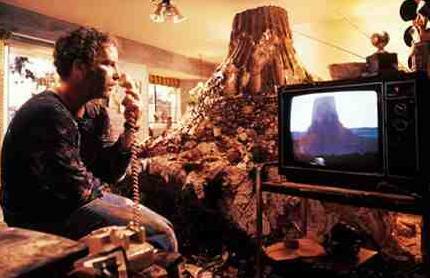 Most of the running time is classic Spielberg, but the climax seemed to make more sense the first time around. As a younger man, it seemed he was staying open-minded on every unsolved world mystery, conveying his sense of wonder as if it were all true. All this was spectacularly supported by the latest special effects, truly a staggering job by everyone in the huge special effects crew - the closest thing to seeing UFOs. No more wobbly plates plastic kits on wires - these spacecraft seemed to be made out of coloured light! It was also the first time I noticed multi-track surround stereo in a cinema. The howling winds of the desert in the opening scene, sounded like they were blowing all around us. Close Encounters didn’t get a sequel, though E.T. - The Extra-terrestrial felt like the next logical step in the story - a secret second contact, with a longer interaction with the inhabitants of Earth. After all, they came all that way and all they get is a smile, a wave, and a jam session. 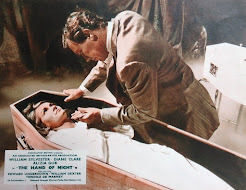 The film was such a massive hit that a re-release with extra scenes returned to cinemas in 1980. 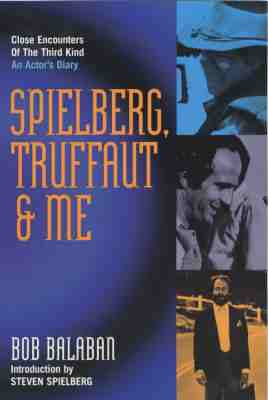 Spielberg was able to film new scenes he'd not had time to include (like the battleship). In return, he was required to show the inside of an alien spaceship. He took the opportunity to re-edit and slim down the middle act, toning down the emotional break-up of Neary's marriage. This re-release was an early example of a 'Special Edition'. It then became the only version of the film in circulation - for nearly twenty years. The only way to see the original 1977 version was the expensive Criterion laserdisc boxset. For a long time, I thought I'd never again see the film I fell in love with. 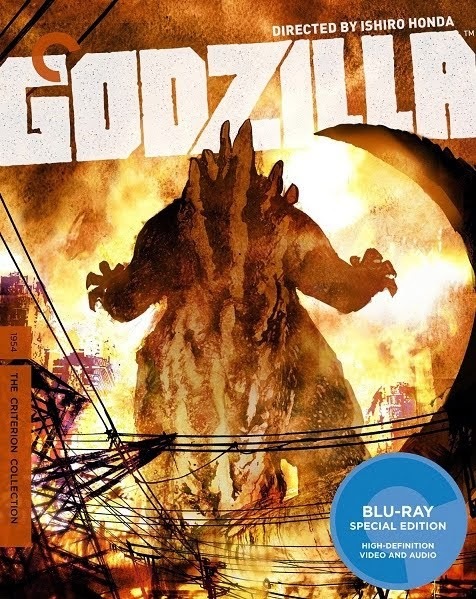 After many different home-video incarnations, the original cut is now in the Blu-Ray Ultimate Edition set. When it was released, CE3K didn't have the same product possibilities as those built into Star Wars. There were of course the usual 1970s merchandise - books, records, posters, caps, t-shirts, badges (buttons), baseball cards... but the UFOs and aliens were pretty impossible to turn into toys. (Be nice if someone tried though). The official book and magazine were quite shy of showing photos of the spaceships and their special effects. 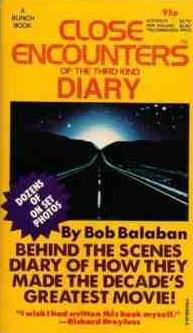 Instead there was a production diary paperback by Bob Balaban, who played translator to Francois Truffaut's character (this was recently reprinted under the title, 'Spielberg, Truffaut and Me'). Yes, the famous French new wave director had a major role. The amazing visual effects were thankfully revealed in a double issue of Cinefantastique magazine. Douglas Trumbull again used a giant front-projection system (as he had for 2001 - A Space Odyssey), Greg Jein (and many others) made some gigantic and hugely complex internally-lit models, not to mention the mysterious directional clouds (a similar effect re-appeared at the end of Raiders of the Lost Ark). 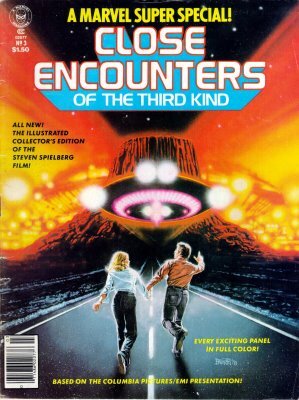 Cinefex magazine later covered the making of the Special Edition. For a grittier view behind the scenes, co-producer Julia Phillips spent several chapters of her scandalous expose of 70s Hollywood, 'You'll Never Eat Lunch In This Town Again' documenting the scale of the production and its problems. Julia and Michael Phillips were also the husband and wife production team behind Taxi Driver and The Sting. 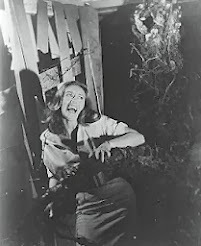 The title refers to Julia becoming a Hollywood outcast once the book was published. She's not only honest about her alcohol and drug abuse during the making of these high-profile movies, but also dared to mention the illegal habits of many other famous players in the industry. 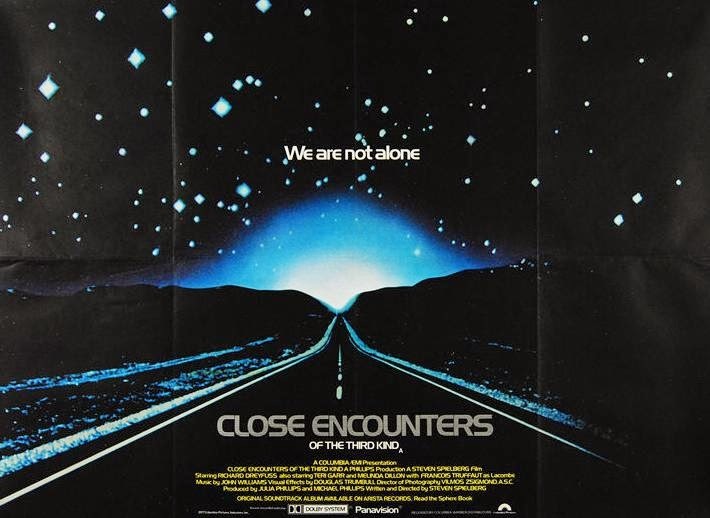 Close Encounters was an early example of a 'best-case' first contact scenario, and for a few years movie aliens were friendly. There was even a weekly TV series Project UFO to dramatise many actual sightings. Things turned nastier with Whitley Strieber's book Communion (adapted as a movie in 1989), along with The X-Files and Fire in the Sky (1993) to tell us about the scary side of alien abduction. Though these were all pre-dated by a TV movie, before even Close Encounters. 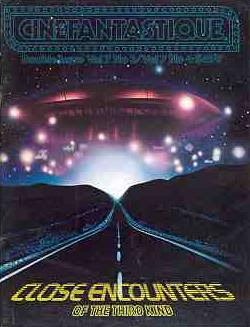 The UFO Incident (1975) starred James Earl Jones and Estelle Parsons, recounting a classic alien abduction experienced by Betty and Barney Hill and uncovered under hypnosis. Whatever the truth is behind their experiences, I've yet to hear of such a detailed incident that predates the 1953 movie Invaders From Mars (where aliens kidnap humans and implant a small control device in the back of their necks). Similarly, a glut of UFO sightings and abduction scenarios must have been inspired by Close Encounters. Admittedly, I also found it inspirational. Awesome movie in deed, one of my top favorite science fiction films ever. I wish I could recapture that sense of wonder I felt with that movie with movies I see today. It just doesnt happent hat often anymore.